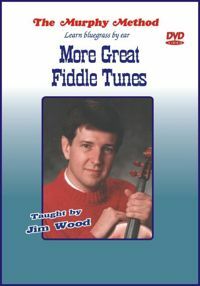 More Great Fiddle Tunes: Are you fixated on fiddle now? Does the fun of finding and figuring out fiddle tunes continue to fascinate? If so, these six traditional tunes will keep your fingers (and little grey cells) busy for a while and push your fiddle playing to the next level. As always, taught note-by-note. No Tab. Liberty, Eighth of January, Turkey in the Straw, Sail Away Ladies, Salt Creek, Bill Cheatham.